Sunday will see me running in my last race of 2010, the Bedford Harriers Half Marathon around Wooton in Bedfordshire. It's a relatively big race field compared to some of the runs I've done, at 2000 people (I like running with lots of people) and as I've been so restricted with the ice and snow, I'm really looking forward to getting out and having a really good run...on safe roads! With the race coming up it has made me a bit nostalgic about the year that's gone by. Although I've been running for a few years now, this year has been defining for me, and so important in terms of my commitment and passion for the sport. Since the marathon in April, I've run in 5 more races (and have the medals hanging on my wall to prove it!) 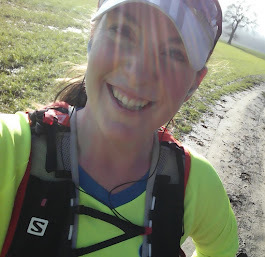 - my race this weekend will be my seventh of 2010 - and have really immersed myself in the sport...as the title of my blog says, "these days, I call myself a runner..."